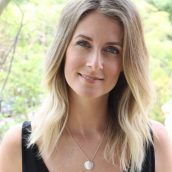 Kristy Allen was Project & Communications Manager for Good Pitch Australia events. She has a Bachelor of Business and prior to joining the team, spent 6 years working in Sydney’s leading consumer PR agencies for a number of global brands including Procter & Gamble, Reckitt Benckiser and Kelloggs. These roles involved media strategy and delivery and management of high-profile brand ambassadors and talent. Highlights include managing Australian media relations for P&G during the London 2012 Olympic Games and the launch of a brand new product to market in the ANZ region. Kristy is systems driven and passionate about providing strong support to the Good Pitch team and the family of Good Pitch filmmakers. Working in the not-for-profit sector, Kristy utilises her skills and experience to help enhance the impact these important films have on social issues.